Bozard Ford has been a family owned and operated dealership in St. Augustine since 1949. Founded by Mr. and Mrs. Fred H. Bozard, Jr., the Bozard family has worked to serve both their country and their community for three generations and more than 60 years. Both Fred H. Bozard Jr. and Fred Bozard, III served their country in the U.S. Navy before returning home to run Bozard Ford in St. Augustine. The Bozard family continues their civic duty in the St. Augustine area by participating in various organizations and as active members of the community. The entire Bozard Ford Lincoln Team is committed to sharing family values and providing a fun, efficient experience to customers in the St. Augustine and Jacksonville communities. 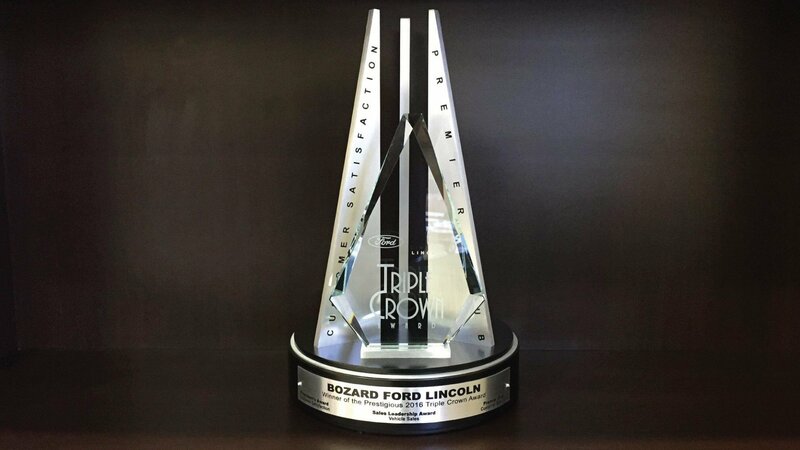 Bozard Ford Lincoln has gained national recognition as the recipient of numerous awards. The Ford dealer has been ranked the #1 Automotive Dealership in the Nation by DealerRater based on customer reviews regarding friendliness, quality of service, and overall customer satisfaction. Bozard Ford Lincoln has also received the One Ford Elite Award which distinguishes the top performing dealers with best-in-class recognition. 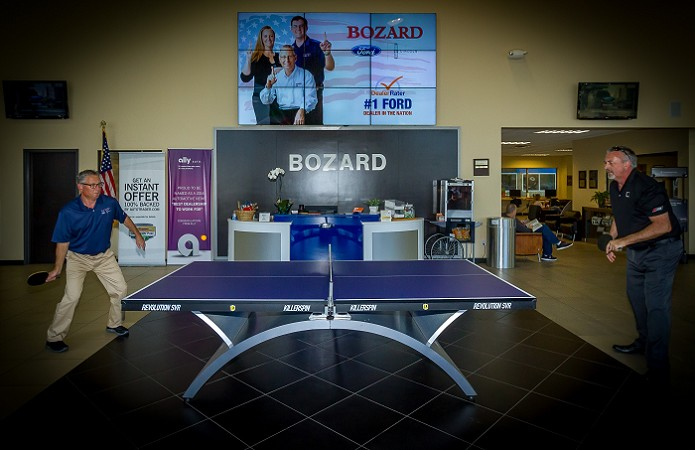 Bozard has also been a back-to-back recipient of Ford Motor Company's Presidents Award, the highest honor in customer satisfaction, as well as the recipient of many Best of St. Augustine awards. 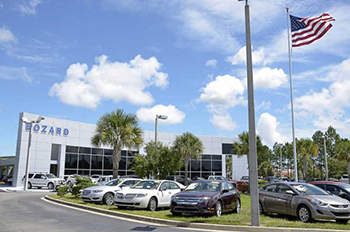 In 2013 Bozard Ford was named one of Automotive News' Best Dealerships to Work For, employing over 70 members of the St Augustine and Jacksonville communities. In April of 2007, Bozard Ford proudly broke ground on an all new state-of-the-art facility. In order to better serve the growing population of St Augustine and Jacksonville, the new facility offers 32 climate controlled service bays, WiFi in the customer lounge, a no-appointment Quick Lane service for routine maintenance on any make or model, among other great amenities. In 2013, Bozard Ford Lincoln was named one of the 50 Fastest Growing Private Sector Companies in Northeast Florida by the Jacksonville Business Journal. Shortly thereafter, the Ford dealership broke ground on a new Quick Lane facility to meet the growing demand of automotive service customers. The success of Bozard Ford Lincoln can be traced directly back to the culture inside the dealership. Team members are encouraged and rewarded for being the best they can be in and outside of work hours. This team has been named the National Dealer of the Year and the #1 Ford Lincoln Dealer in the Nation by DealerRater.com, an award based solely on Customer Reviews. Our team didn't set out to win awards, we set out to do business the right way. We appreciate the recognition, but are more proud of what we accomplish with our customers and in our community. If you live in nearby Jacksonville, Orange Park, Palatka or the greater St. Augustine area, Bozard Ford Lincoln is the place for you with great pricing, great selection, and friendly service. 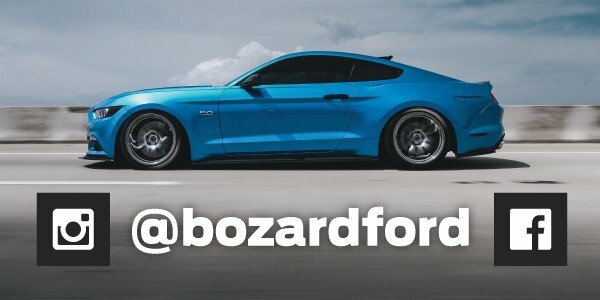 Bozard Ford offers the latest selection of New Ford Cars, Trucks, Vans, SUVs and Used Cars, Trucks, Vans and SUVs that you want and are looking for. Located near the Outlet Mall, Bozard offers great pricing!